Kamui is leader of a group of survivors residing in the Tokyo Tocho building. Charismatic and mysterious, wielding strange inhuman powers, he is bent on recovering a certain person and is ready to do anything to accomplish that goal. 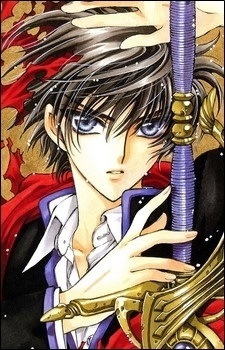 Later on it is revealed that he is a vampire and the twin to Subaru, the vampire Seishirou is chasing after. As payment for Subaru's wish, Kamui gives Fai his blood to save the latter's life.